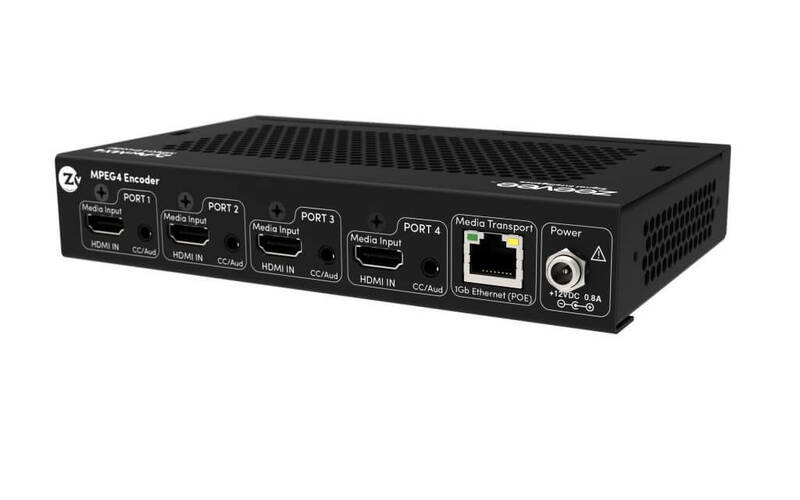 Designed to encode and deliver H.264 video up to 1080p, the ZyPerMX4 allows organizations to deliver content over any IP network. With four encoders in a single appliance, IT/AV managers can deliver more content while utilizing fewer network resources. ZyPerMX4 delivers compressed 720p and 1080p HD resolution content directly over a standard Ethernet network. ZyPerMX4 eliminates the need to have a separate AV network or equipment for video and other AV content. Send compressed Full HD 1080p video, audio, and control over ethernet – ZyPerMX delivers stunning pixel for pixel reproduction of compressed 720p and 1080p HD resolution content directly over a standard 1Gb ethernet network. ZyPerMX eliminates the need to have a separate AV network or equipment for video and other AV content. Deliver To A Variety of Devices – Receive content on a wide variety of devices, including televisions/displays, computers, and smart devices via unicast, multicast or HLS. Streams from the ZyPerMX4 are also auto-discovered by the ZvMXE+ set-top-box. Dolby Digital 7.1 Audio – ZyPerMX can distribute high definition 7.1 crystal clear audio from each source over the entire network – perfect for churches, stadiums, or other public venues that need an affordable long distance audio solution. 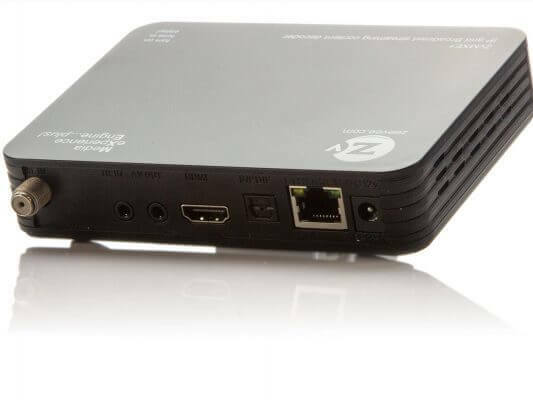 The ZvMXE+ is a high-performance set-top box that decodes both RF and IP HD content. It works seamlessly with the ZyPerMX4 by auto-detecting channels and auto-populating the on-screen-display. 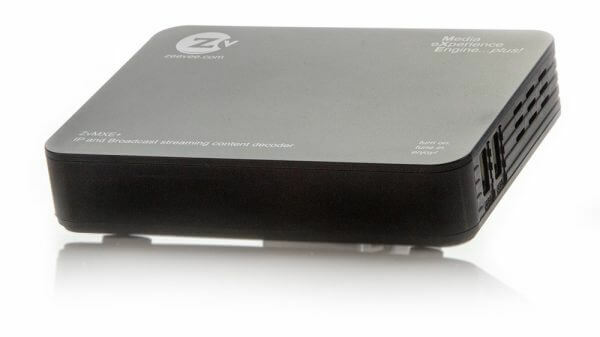 The compact device, which supports three compression formats, including H.264, MPEG-2, and MPEG-4, enables instant viewing of channels once it is plugged into the display and connected to a network. ZvMX+e auto-discovers the ZyPerMX4 as well as HDbridge and ZvPro iSeries streams, which are added automatically to the lineup. Additional channels/streams can be added manually. Support three main HD formats: H.264, MPEG- 2, MPEG-4, and others. Supports many kinds of IPTV programs. Infrared remote control with programmable buttons allows direct control of the television (unified remote control for controlling user experience). MXe+ includes a power supply.